FACT: Though healthy pets are much less attractive as hosts to fleas, this doesn’t ensure a pet won’t be affected. So, it’s important to both feed a natural, quality diet and use a natural flea spray on at-risk pets, especially in heavily infested areas. FACT: Pets are merely the transporters of fleas in the house. Once inside, a flea can take refuge in all areas of a home. Bedding, carpet, pet bedding, furniture – even cracks and crevices can house hundreds of egg, larval, and pupal stages of fleas. Quick action is needed to eradicate the population, and treating the pet, the home, and the yard will ensure successful flea elimination. FACT: The fleas you SEE are only 5% of the population! 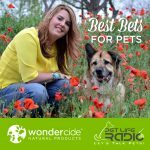 Over 90% are in egg, larvae, and pupae form and live in/around the home – off the pet! That means they’re in pet bedding, furniture, carpet, and shady areas of the yard where pets hang out. Certainly if you see a few fleas on the pet, there are hundreds more in egg and other forms present in the environment. There is no quick fix to getting rid of infestations, as an adult flea can take weeks to mature, but diligence and perseverance will ensure that you can remedy even the most stubborn infestations. FACT: Even the cleanest of homes can get fleas. Though they usually hitch a ride on pets, fleas can get onto clothing or even jump into the house themselves. As noted above, fleas can get into all areas of a home, even cracks of hardwood floors and tiles. Therefore in areas affected by fleas, it is important to keep the pet treated at all times. Equally important is treating the yard with a natural insecticide to create a “flea-free” buffer zone around the entire house and prevent an infestation. Vacuum carpet and wash pet beds often. FACT: Fully solving the flea problem requires determination and attentiveness. Prevention is the best measure to keep fleas from affecting your life. A multi-step approach of treating the pet (before going to dog parks, doggie daycare), the home, and the yard (shady areas, under bushes and trees, under decks) is the best way to ensure a flea-free environment. FACT: Although fleas may not survive the cold temperatures well, they can live quite comfortably in the home throughout the colder months. They also live on wildlife, so pets that have contact with squirrels, birds, or other animals may be exposed to fleas. More than likely, if you or your pet had fleas during the warmer months, you probably have them through the winter. And obviously, people in warmer climates have a year-round battle, since fleas love warm tropical climates. Remember, the vacuum is your friend! FACT: Though it is important to consult your veterinarian about flea control, many prescription flea and tick products contain conventional pesticides . And veterinarians do not often know the best method for treating the environment. Holistic veterinarians are a good resource for finding the best natural flea control product. FACT: Yes these methods are easy, but they are not safe. In fact, recently the EPA completed an in-depth assessment of the effects of these products in response to the thousands of reports of illness and death among household pets. In every one of the products tested, the EPA reported adverse effects and is now working to increase restrictions on their use. FACT: This is the least effective way to control fleas. Flea collars use harmful ingredients and may contain harmful residues that are transferred to pets’ fur, and then to pet owners who handle them (especially children who are at an increased risk). Some collars have been shown to contain cancer causing agents and poisons that persist on fur for weeks. And since fleas spend most of their time off the animal, they have very short lived results. FACT: While many safe pesticide products don’t have to go through EPA mandated testing because they are exempt from registration, it doesn’t mean they don’t work. 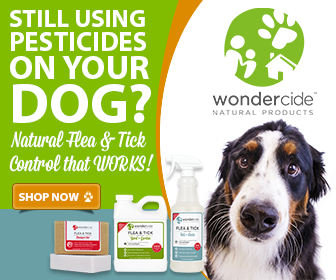 People everywhere have found the natural approach to be effective in controlling fleas, and with the innovative technology of Wondercide, it takes less time, costs less than pest control companies, and you can rest easy knowing you are using a safe, effective product for the pet, home, and family.